For the last 15 years Allô Mon Coco has been serving up delicious breakfast in over 20 beautifully designed locations across Quebec. 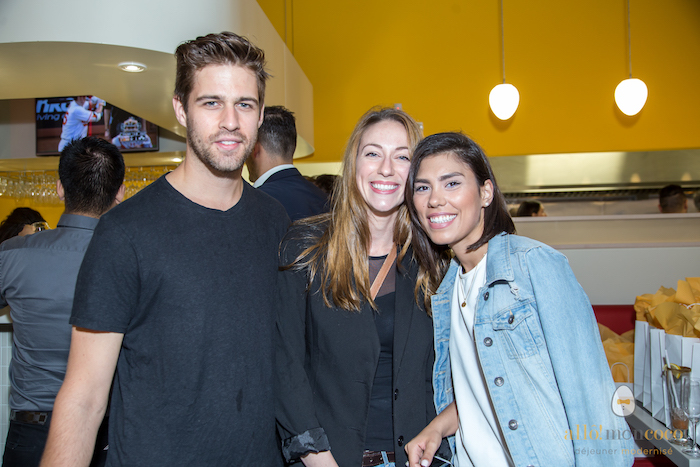 Last week those 15 years were celebrated by media and VIP guests at the new Plateau location on the corner of St. Laurent Boulevard and Mont-Royal Avenue. We traded in our coffee for champagne and our breakfast for bouchees as we gathered to celebrate the massive success of the locally owned breakfast chain. 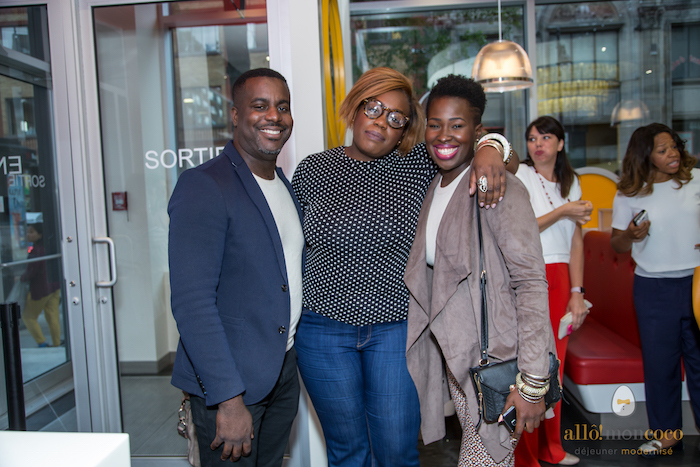 Guests, including our fab new style contributor, Soulyne Michel, gathered for photo ops in between sips of champagne and wine while canapés were passed around to keep the crowd going. 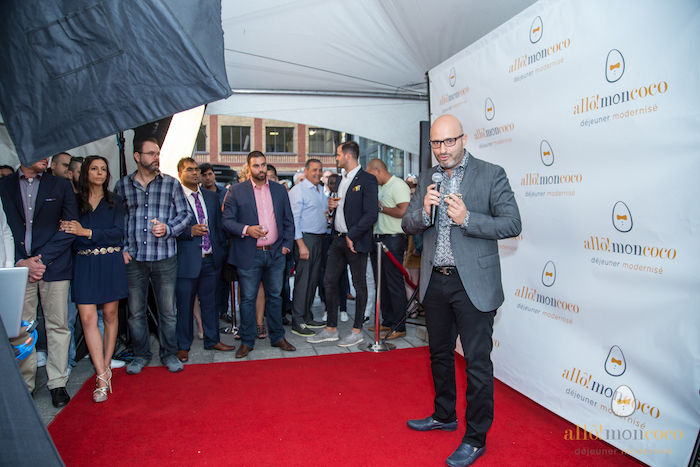 Tom Bountis, owner and founder of Allô mon coco was on hand to say a few words and get the party underway. In celebrating the past success of Allô mon coco, Bountis also looked to the future of his company. 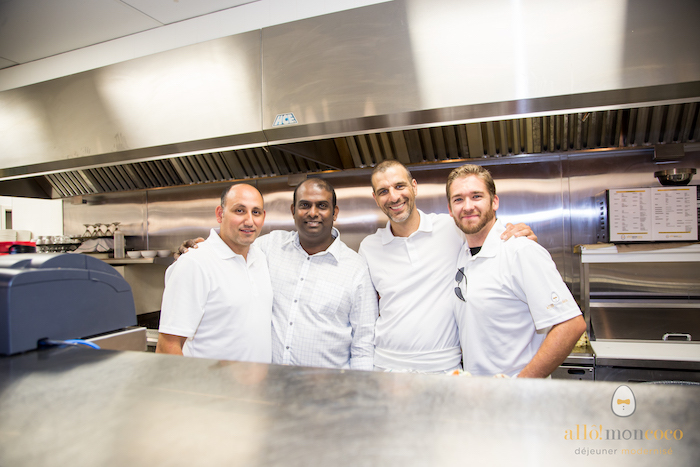 He plans on opening even more restaurants in Quebec while eventually expanding into Ontario and the US. He took time during the event to chat with fans of his restaurants. Breakfast is the most important meal of the day and with a vast selection of locally sourced foods, Allô mon coco is a great choice for those looking to start their day right. 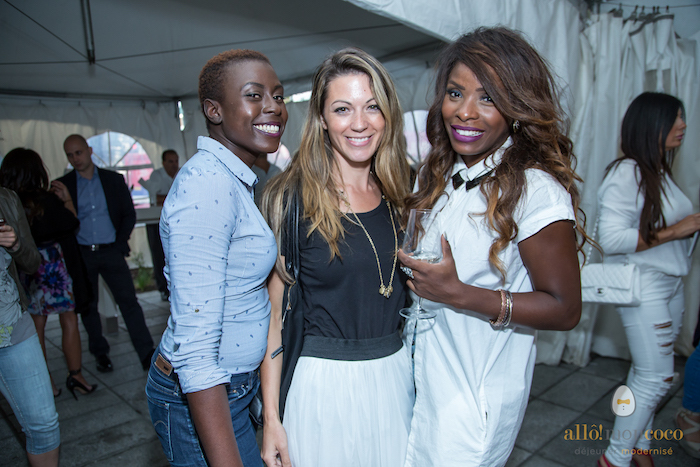 For more on Allô mon coco, visit their website here. Images courtesy of Allô mon coco.